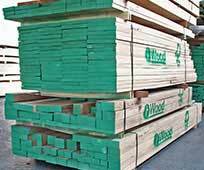 iWood's European Oak Timber is sourced from our trusted sawmill partners around Europe. 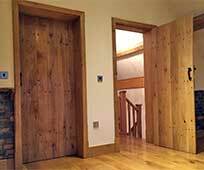 iWood's Prime quality European Oak Timber is of the highest standard we can obtain and is trusted by carpenters, joiners, furniture makers and builders up and down the country for major, high profile projects. You can read more about our dedication to quality here. The genus Quercus, with more than two hundred separate species produces the true oaks. Most of these are found in the northern hemisphere where, in temperate regions they may form pure stands, or maybe dominant species in mixed woodlands, while in warmer countries they tend to occupy the mountain areas. Most of the true oaks are trees but some are shrubs, the trees, on the basis of wood structure, fall into three groups, the red oaks the white oaks and the evergreen oaks, or the live oaks: the red and white oaks are deciduous. Quercus petraea produces the sessile or durmast oak, while the pedunculate oak is produces by quercusrobur. Both species occur throughout Europe including the British isles and extend into Asia Minor and North Africa. Both species reach a height of 18m to 30m of a little more depending upon growth conditions which also affect the length of the bole. When drawn up in forests at the expense of their branches, this may be 15m or so in length, but in open situations, the tree branches much lower down. Diameters are about 1.2m to 2m. There is no essential difference in the appearance of the wood in either species. 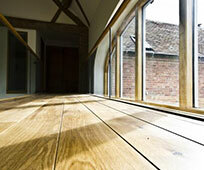 The sapwood is 25mm to 50mm wide and lighter in colour than the heartwood which is yellowish-brown. Quarter-sawn surfaces show a distinct silver-grain figure due to the broad rays. The annual rings are clearly by alternating zones of early-wood consisting of large pores and dense late-wood. 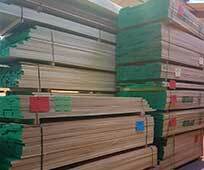 Conditions of growth accordingly govern the character of the wood to a great extent. For example in slowly grown wood the proportion of dense late-wood is reduced in each annual growth-ring, thus tending to make the wood soft and light in weight. 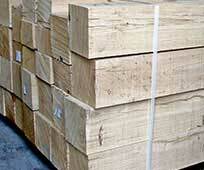 The growth conditions in the various countries which export oak, vary considerably. 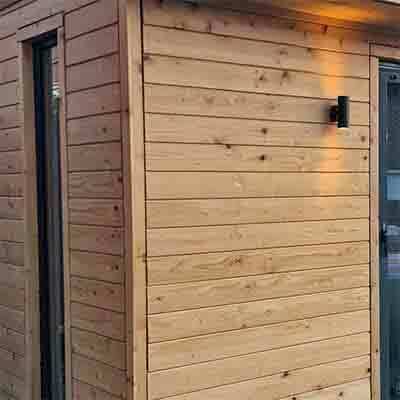 The weight of oak wood varies according to type: that from the Baltic area, western Europe and great Britain being about 720 kg/m3 and that from central Europe about 672 kg/m3 on average after drying. Oak dries very slowly with a marked tendency to split and check, particularly in the early stages of drying, and there is considerably risk of honeycombing if the drying is forced, especially in thick sizes. 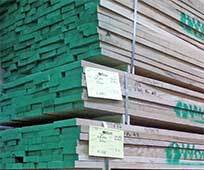 End and top protection must be provided to freshly sawn stock exposed to sun and drying winds, and sticker thickness should be reduced to about 12mm for stockpiled timber in the open air during early spring and onwards until winter. Both the sessile and pedunculate oaks have well known and high strength properties and those highbred oaks developed from both types and developed throughout Europe are similar in their strength properties. Durable. See our guide to durability. The working and machining properties of oak vary with the mild to tough material which either machines easily or with moderate difficulty. These basic properties are concerned with growth conditions, but they may be exaggerated by indifference drying methods which allow plain-sawn boards to cup, or severe case-hardening to develop, causing excessive wastage in planing and moulding, cupped stock in re-sawing, and a greater degree of blunting edges. These must be kept sharpened, particularly where cross grain is present and especially highly-figured quarter-sawn surfaces where there may be a liability for the grain to tear out at the juncture of the wide ray-figure thus producing a shelly appearance. 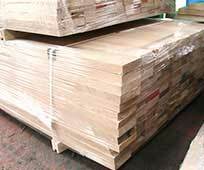 In general, oak finishes well from the planer of moulding machine although in some cases a reduction of cutting angle to 20 degrees is preferable. The wood can be stained, polished, waxed, and glued satisfactorily, takes and nails and screws well, except near edges, when the wood should be pre-board, and takes liming and fuming treatments well. The sessile and pedunculate oaks fall within the white oak group, and since their structure greatly resists the passage of liquids, due mainly to the preponderance of tyloses in the pores, the wood is in demand for the manufacture of staves for tight cooperage. Oak is also a primary timber for furniture, either in the solid or veneer form, but preferences exist among users, the milder slavonian oak, volhynian oak or spessart oak from Germany, often being preferred for furniture and cabinet making, to the harder and tougher English oak, which is often considered more suitable for constructional purposes Preference, in this context, means to choose, and is not an inference of superiority. 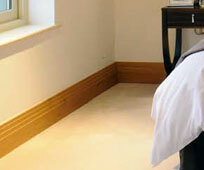 English oak, when well-grown and well-graded, is the finest of timber. There is none better for boat-building for such purposes and keels, sterns, stems, knee-beams, ribs, gunwales, stringers and rudders for docks, harbours and sea-defence work, ladder rungs, posts and rails, sills, and for all purposes of exposure and where in contact with the ground. Oak wood generally is also used for high-class joinery, coffins, ecclesiastical work such as pews, roodscreens, pulpits and for flooring. 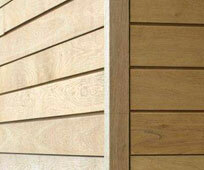 Brown oak is valued for panelling and joinery. The character of oak is somewhat acidic and accordingly tends to accelerate the corrosion of metals, not only those that may be in contact with the wood, but due to the volatile nature of the acids they can evaporate rapidly and so extend their effect to adjacent metals not in direct contact with the wood, especially in enclosed spaced, where lead in particular may suffer severe deterioration Iron, or iron compounds in contact with wet oak interact with the tannins in the wood thus causing unsightly blue-black staining. Because of the corrosive and staining characteristics of oak, metals should be protected by suitable coatings, or should be non-ferrous. 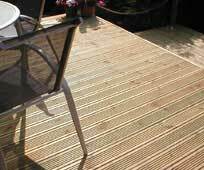 Pure aluminium will usually stand up to the corrosive effect of moist oak better than lead will.